Joint replacement surgeons are coveted by hospitals because they bring in lucrative elective inpatient surgeries that can improve the hospital’s financial margin. Furthermore, patients who have successful joint replacements are some of the happiest patients in the hospital and they will often improve the hospital’s patient satisfaction scores. However, a post-operative infection of the newly implanted joint can mean a longer hospital stay, prolonged IV antibiotics, poor patient satisfaction, and financial loss to the hospital. Therefore, it is incumbent on us to keep the post-op infection rate as low as possible. There are a number of factors that can increase the risk of infection: patient risk factors, patient preparation factors, surgeon factors, and operating room environment factors. Here are some of the things that can keep your hospital’s joint replacement surgery infection rate down. Obesity. The incidence of arthritis, particularly knee arthritis, goes up in obese patients and so does the risk of post-operative infection. Obesity brings with it problems with wound healing and concurrent diseases such as diabetes. Patients at the highest risk are those with morbid obesity, that is, a body mass index > 40. Ideally, patients should lose weight prior to undergoing elective joint replacement surgery but the problem is that the patients’ joint disease often precludes them from meaningful exercise so weight loss can be very challenging. 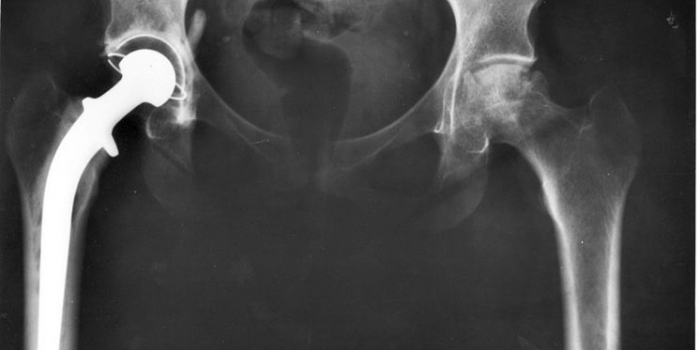 If your hospital has a joint replacement infection problem, consider limiting elective joint replacements to those patients with a BMI < 40 or even 35. Smoking. As a pulmonologist, I focus on the deleterious effects of cigarettes on the lungs and heart but smoking is also a risk for post-op infections. 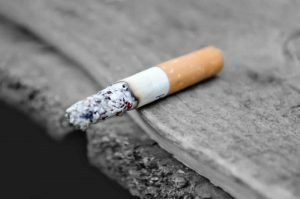 Patients should stop smoking 2 months before surgery. 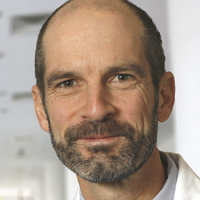 For those patients that I send for lung transplant evaluation, documentation of smoking cessation by doing urine cotinine levels is mandatory (patients must be tobacco-free for at least 6 months to be eligible for lung transplant) – if your hospital has a joint replacement infection problem, then consider mandatory urine cotinine testing pre-operatively to confirm smoking cessation. Diabetes. Because obesity is rampant in our country, so is diabetes. In fact, in one study, more than half of patients with diabetes who presented for joint replacement did not know they had diabetes until they were undergoing pre-op evaluation for the surgery. Patients with an excessively high hemoglobin A1C should have surgery deferred until their diabetes is better controlled. Malnutrition. The body mass index works both ways: too high and the risk of infection goes up and too low and the risk of infection goes up. Patients with a BMI of less than 20 are at increased risk. Alcohol abuse. 8.4% of adult men and 4.2% of adult women have an an alcohol abuse disorder. Therefore, statistically, 1 out of every 16 patients presenting for joint replacement have an alcohol abuse risk factor. Immunosuppressant use. This is particularly an issue for patients with rheumatoid arthritis since not only do they often need a hip or knee replacement, but they are often taking medications to treat the rheumatoid arthritis that can delay wound healing and suppress the immune system. Anemia. Patients with anemia have more than twice the risk of infection as those without anemia. They also have a longer length of hospital stay, which adds additional expense to the hospital. Importantly, there are some patient factors that surprisingly do not have much effect on post-op infections including concurrent heart disease, pulmonary disease, or neurologic disease. Having a good pre-admission testing process to risk-stratify patients is essential. Ideally, hospitals doing a lot of joint replacement surgeries should have a dedicated outpatient clinic where physicians, nurse practitioners, and/or physician assistants trained and experienced in surgical infection risk identification can assess patients and identify those who are at increased risk. Ideally, this should be coupled with risk factor reduction strategies to reduce the patients chances of getting a joint replacement infection. These could include endocrinology evaluation to reduce the hemoglobin A1C, hematology evaluation to determine the cause of anemia and correct anemia, smoking cessation programs, dietary consultation to reduce the BMI in obese patients and increase the BMI in malnourished patients, and rheumatology consultation to reduce or hold immunosuppressive medications (particularly in those patients with rheumatoid arthritis). Even those patients with minimal or no risk factors can get joint replacement infections if they are colonized with certain bacteria. Dental caries and gingivitis are often implicated, however, the data in the literature is sparse. Nevertheless, those patients with bad teeth or gums should have these addressed by a dentist in order to reduce their overall bacterial burden. 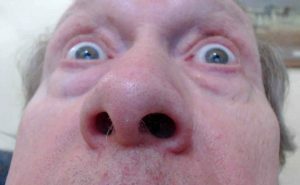 The data is much stronger for Staphylococcus aureus colonization, particularly in the nose. Patients undergoing elective joint replacement surgery should have screening for nasal carriage of Staph aureus, including determination of whether the Staph is methicillin-sensitive (MSSA) or methicillin-resistant (MRSA). Those patients found to have either type of Staph in the nares should undergo Staph aureus decolonization. A commonly used strategy is to use 2% mupirocin ointment to the nares twice a day for 5 days plus 2% chlorhexidine gluconate wash daily for five days. Antibiotic prophylaxis at the time of surgery can also reduce joint replacement infection rates but it is critical to chose the right antibiotic and to get the timing of antibiotic administration right. For uncomplicated patients, cefazolin, 2 gm IV over 30 minutes just prior to the start of surgery. If using a tourniquet, the entire dose must be infused before the tourniquet is placed. For obese patients weighing > 120 kg, a 3 gm dose of cefazolin should be given. If the surgery takes more than 4 hours, a second dose of cefazolin should be given. If the pre-operative nasal carriage screen is positive for MRSA, then patients should get a dose of vancomycin (1.5 gm over 2 hours) in addition to cefazolin. Patients with severe penicillin or cephalosporin allergy should get a combination of vancomycin and aztreonam (2 gm IV over 30 minutes). Skin preparation is also important. Rather than shaving, use clippers for hairy skin. Adequate skin preparation with chlorhexidine and with povidone iodine is necessary. Not all surgeons are created equal – some are slower than others. The duration of surgery also affects the incidence of post-operative joint infection, the longer the surgery, the higher the risk of infection. In one study, patients undergoing knee replacement who did not get an infection had an average operative time of 94 minutes whereas those that did get an infection had an average operative time of 127 minutes. The experience of the surgeon also matters, those that do fewer than 20-50 joint replacements per year generally have higher rates of infection. 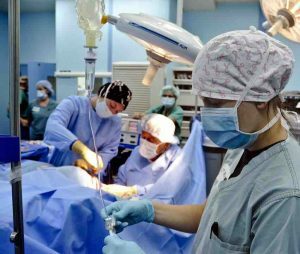 These two surgeon factors are intertwined: a study showed that operative time decreases with increasing surgical experience and a surgeon’s operative time for knee replacement plateaus after 300 operations. Ideally, your hospital will have a dedicated physician or group of physicians who do elective joint replacement surgeries. 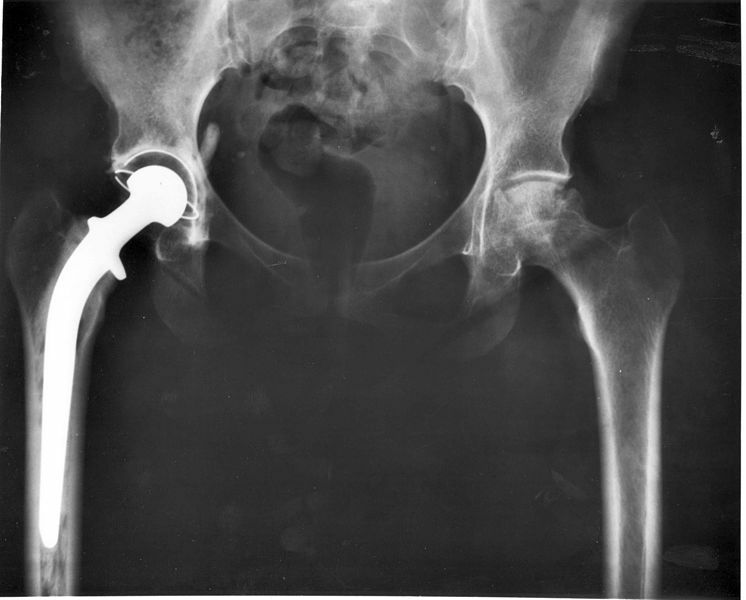 This can be a problem for smaller hospitals or those in rural areas that do not have sufficient annual volume to support a joint replacement surgeon. Additionally, the hospital should monitor operative time for joint replacement surgeries to identify surgeons who consistently have excessively long operative times. Central sterile supply. Joint replacement instrument sets are notoriously large and complex. You have to have great people working in the central sterile supply (CSS) area to ensure that that all of the instruments are clean and sterilized and that all of the sets have the correct instruments. If there is “bioburden” (e.g., bone fragments, blood stains, hairs) on one of the instruments, then it has to go back, even if it was adequately sterilized. Not everyone can do this well, so many hospitals monitor the rates of bioburden and inclusion of correct instruments in sets by individual employee – those that have consistently high rates may need to be identified for remediation or reassignment to other duties. Hand hygiene. Every person going in and out of the OR needs to clean their hands every time they go through the door. Door openings. It is amazing how many times the door to the operating room is opened during a joint replacement surgery. Sometimes it is because a new piece of equipment is needed. Sometimes it is because these are long procedures and staff need a break. Sometimes it is because a vendor needs to bring in a joint prosthesis component. Each time that OR door opens, the risk of infection increases. Develop strategies to minimize the use of the door during surgery. Vendors. These are representatives of the manufacturers of the joint prostheses who are experienced in the technical aspects and sizing of different components of the artificial joints. They are essential to the proper selection and placement of the prostheses and also can provide essential advice to the surgeon during the operation. However, they are not hospital employees and as such, do not necessarily go through the same infection control training that all of the other operating room staff do. Processes should be in place to ensure that the vendors are well versed in basic infection control measures including OR attire, hand hygiene, etc. Cell phones. A study of hospital workers’ cell phones indicated that 100% were colonized by bacteria and 53% were colonized with MRSA. It doesn’t matter how long you scrub your hands prior to entering the OR, if you then handle your cell phone, your hands are no longer clean. Remove temptation of OR staff by having cell phones turned off or left outside of the OR. Operative field contamination risks. Having a fly in your soup is gross; having a fly in your surgical incision is life-threatening. Insect control is essential to maintaining good infection control. Also, take a look at the ceiling and fixtures to identify peeling paint, dust, or condensation that could fall into the operative field. Having adequate air exchanges in the operating room is also essential – there is always some degree of dust particles floating around in the air and all of the people in the OR are constantly shedding dander and hairs that can become dust components (the average person sheds about a billion skin cells per day). 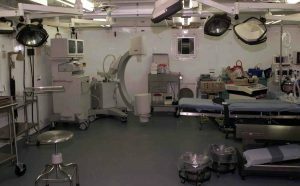 There should be at least 15 air exchanges per hour (> 20 is better) and the OR should be kept at a higher air pressure than the surrounding corridors and rooms so that dust and particulate matter does not get sucked into the operating room. Temperature and humidity. Operating rooms should be kept between 30-60% humidity and 68-73 degrees F. If the patient develops hypothermia during the procedure, the risk of infection increases so avoiding hypothermia (temperature < 96.8 degrees F [36 degrees C]) is desirable. Ergonomic design. Inside the OR, the tables and equipment should be located in ways to minimize staff movement, eliminate unnecessary human activities, and minimize transport distances for instruments. Also, minimize the number of people in the OR by using windows or cameras for teaching purposes rather than having trainees not participating in the procedure standing close to the operating field. Reducing or eliminating surgical infections following joint replacement requires a concerted effort by the hospital that starts with the outpatient pre-operative assessment and continues through education of the patient at the time of discharge.